Cognitive-behaviour therapy (CBT) is a therapeutic method used for helping people with a range of psychological problems. It focuses on the relationship between thoughts, (cognitions), emotions, physical sensations and behaviours. In particular, it focuses on identifying and managing thinking patterns that can lead to distressing emotions and unhelpful coping strategies. While CBT mainly focuses on the here and now, it does take account of what happened in the past in order for problems to develop and be maintained. 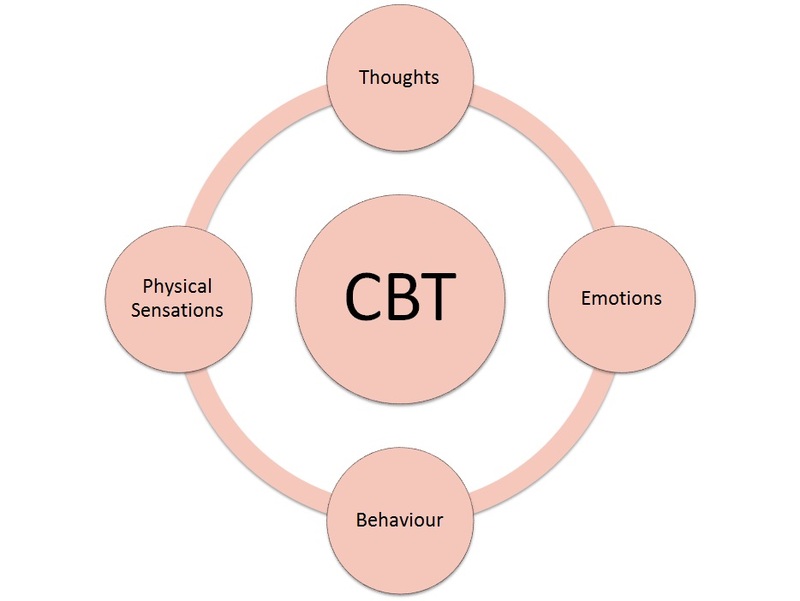 CBT is an active therapy in that it focuses on the development of new knowledge and skills which can be used to help cope with any future problems. In this way, CBT is very helpful for preventing future relapses. CBT includes the following phases – assessment, problem identification, goal setting, formulation (making sense of problems), intervention (learning to do things differently), developing a relapse prevention plan, evaluation (were the goals set at the start of treatment achieved? ), follow-up, discharge and top up sessions as required. Our CBT sessions take place weekly initially, and last one hour. During the session, the CBT therapist will review the previous weeks’ learning, a skill is discussed and learning tasks are planned for the upcoming week. These tasks are then reviewed in the subsequent session. Every session ends with a review to ensure sessions are progressing as expected and goals are being met. As everyone is different, the number of sessions required varies, and will depend on the severity of the problem and how long it has been around for. Someone with a mild problem may benefit from an assessment alone, as simply having a greater understanding of why they feel they way they do can help enormously. Many people with mild to moderate difficulties will benefit from 6-8 sessions and those who have more severe and enduring difficulties may require more sessions. Once you have had your assessment, your CBT therapist will have a better idea of how many sessions are required and this will be discussed so that you have an idea of the time and cost implications. Would you like to see a CBT therapist in Galway? Contact the Evidence-Based Therapy Centre for more information.